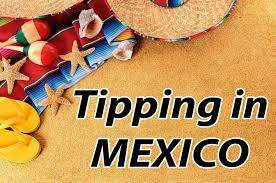 I was reading a blog the other day about tipping in Mexico. With the holidays and high season here, we thought we should revisit the issue. Tipping has many gray areas – who do you tip and how much? Well, here are some guidelines that may clear things up. Of course, it’s up to you in the end how much you tip. US dollars are welcome, but never leave US coins because they cannot be exchanged for pesos. Maids: If you’re in a hotel, condo, or an all-inclusive, give the maid $3 to $5 US per visit. So, if your maid comes in to clean for 6 days, then leave the maid $18 to $30 US. If you’re particularly messy or have a large group, don’t be cheap. Some people tip $2 per day per person for condo stays. Another currently recommended way to figure the tip when you are staying for a week or more is to leave an amount that is 5% of your total rental price. Please remember that other employees on the property may do special things for you (carrying in your groceries up flights of stairs, securing your beach chairs, washing your car, etc. ), and it is ever so nice to remember them with a special tip. if you use these workers often, apply the 5% of your rental amount to them as well. Bartenders: Your bartender deserves 18–20% of your check. Unless the service is horrible, please tip. This includes all-inclusive resorts. A place I frequent has special functions, and occasionally you need to purchase tickets for drinks. Don’t leave your bartenders your unused tickets as a tip; they are useless to them. I find that at the beginning of the night, I tip my bartender well, and when it’s very busy, it’s amazing how easy it is to get a drink, just by holding up my glass. Waiters: Same as bartenders. If you receive a discount, base your tip on the total, prior to the discount. Waiters usually share their tips with the bartender and busboys. Some restaurants even take part of the tip for the kitchen staff as well. Grocery store baggers: At Chedraui, Wal-Mart, and other large grocery stores, you have baggers. All these baggers are volunteers and do not get paid by the store. 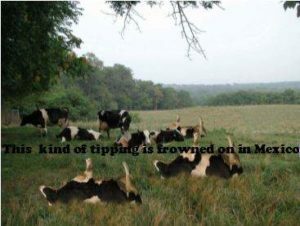 They rely solely on tips. Depending on the size of your order, leave 5 to 20 pesos. Clerks in convenience stores are the exception. They are paid a wage to work in the store, just like the person at the cash register in a grocery store, so no tip. Gas station attendants: 10 pesos is adequate if the windows get washed, but if he or she tries to rip you off – nada. Remember, get out of your car, tell the attendant how much gas you want, make sure they zero the pump and lastly, don’t let them try to tell you that the 500 peso note you gave him or her was only a 50. I always do the above and count out the money to them. Getting ripped off at the gas station is a rite of passage in Mexico. At a Spa or Hair Salon: Tip just like you would at home, between 15% and 20%. Bellman: A usual tip of $1 to $2 US per bag is customary, be it at the hotel or airport. Cab Drivers: A 5% to 10% of the fare is an excellent tip for the driver. Musicians: In restaurants or on the ferry to Isla or Cozumel, there is frequently live music. These musicians do not get paid by the venues and work for tips. A $5 US tip is a good tip. If you request a special song, be a bit more generous. Many times a good Mariachi band will require 100 pesos a song, so it’s good to ask before you have them sing you a few. Photographers: They are starting to show up in restaurants and are at all-inclusive hotels. They do not get paid to be there, so even if you don’t buy a photo, give the camera guy or gal a couple of dollars. Tour Guides: If you’re in a big group, tip $5 US. If it’s a personal tour, $25 US would be appropriate if the guide is knowledgeable and helpful. 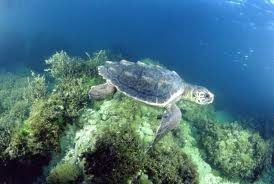 Mexico is still a pretty good bang for your buck. Mexican workers have a low pay scale and every bit helps them out. Someone suggested bringing lots of US $1 bills to hand out as tips. Seems like a smart idea to me.